Bitcoin, the most popular cryptocurrency in the world, has become a widely accepted payment method. Even though, it has faced some setbacks it continues in the limelight. 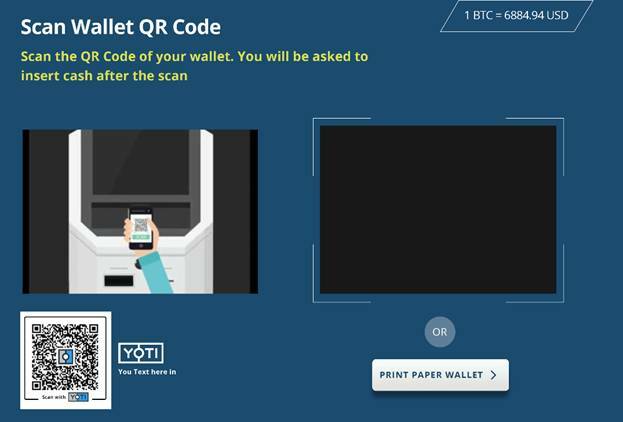 Moreover, various businesses ranging from small convenience stores to multinational retailers have started accepting Bitcoin as a payment option for their transactions. With the increased acceptance of the new form of currency there are now Bitcoin ATMs that provide simple access to Bitcoin. 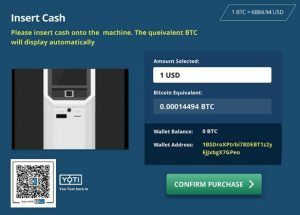 These ATMs are just like traditional banking ATMs, but allow people to buy or sell Bitcoin and other cryptocurrencies with cash. Chainbytes is a blockchain solutions provider, working on making the process of buying and selling cryptocurrencies easy and secure. We have spent years developing a software that is easy to use and configure. 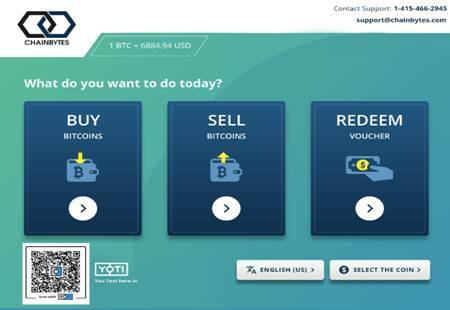 In addition, our Bitcoin ATMs can support different languages and currencies. 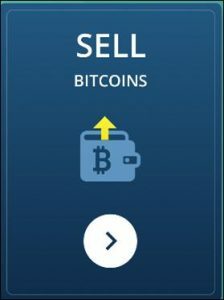 With our state of the art ATM hardware and software we are changing the world of cryptocurrencies one block at a time. First the user needs to find the nearest machine. 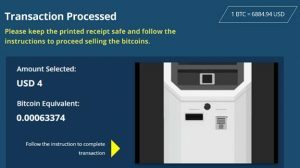 One method to find Bitcoin ATMs is by using Coin ATM Radar (https://coinatmradar.com), which keeps all information about Bitcoin ATMs including fees, verification procedures, online status and many more. 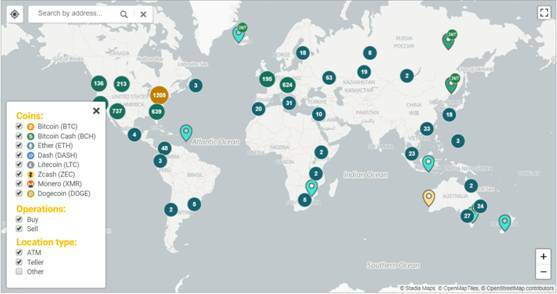 Also, users will find a live map of ATMs on the site. Add your location in the search bar located on the top left corner. Click the search icon to see a list of the nearest ATMs. Pick a Bitcoin ATM and then click ‘Get directions’ to get the exact Google maps location and address. 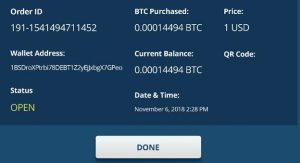 Chainbytes Bitcoin ATMs interface is very intuitive and easy to use. 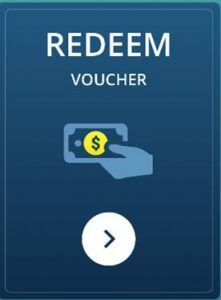 Users can buy and sell Bitcoin or redeem vouchers using them. 5. Click on “Confirm Purchase” and the transaction will be confirmed. 6. 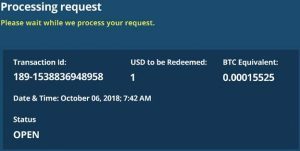 Click on “Done” to complete the transaction and a receipt will be generated. The entire process is safe, secure and fast. 2. 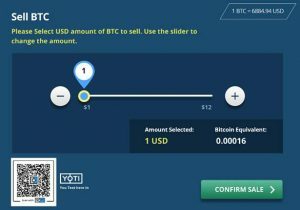 Select the amount of BTC you wish to sell in USD by adjusting the slider. 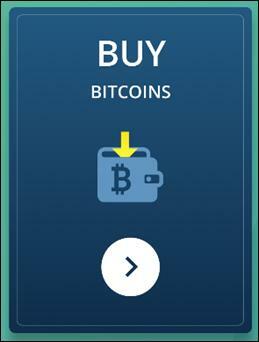 Fees: To trade on a Bitcoin ATM the users must pay a fee. Make sure to confirm the transaction costs before using them.